Tour de Conamara is the largest mass participation cycling event in the West of Ireland. The event offers 140km & 80km route options through some of the finest coastal and mountainous landscape in Ireland. Recognised as the most scenic cycling event in Ireland, Tour de Conamara offers an unrivalled view of coastal, lake and mountain scenery. Created by cyclists for cyclists, the event emphasises quality with a broad range of innovative features included from start to finish. The Celtic Series Tour de Conamara will be held on Saturday 25th May 2019 in Clifden, Connemara. The event offers participants the choice of 140km or 80km routes and will travel through some of the finest coastal and mountainous landscape in Ireland. 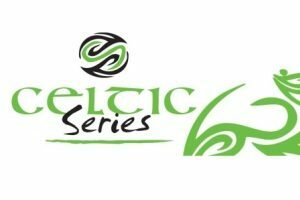 As part of the Celtic Series the event has a very international feel with growing numbers of visitors from across Europe, USA and the UK tackling the event. The Celtic Series Tour de Conamara routes were selected by former International cyclist and TG4 cycling Commentator Pádraic Quinn. The routes in the 140km and 80km events are chosen to accommodate and test all levels of cyclists and will avoid busy roads implementing a rolling road closure so riders can enjoy the scenery in a more secure setting.